Simple scooters that often require no license, registration, nor insurance. Motorscooters with less than 50cc engine displacement are in many jurisdictions exempt from state laws governing motor vehicles. They require no license (though there is usually an age limit), no registration, and no insurance. They are essentially treated as a bicycle. This is not the case in California, and some other states however. See State Regulations. The high-efficiency engines used in modern 50cc minimalist scooters and stand-up scooters are far more powerful than those past decades and will be perfectly adaquate for many purposes though they are not highway capable nor, in many cases, highway legal. They are easily the cheapest form of independent motorized transportation available, with the possible conditional exception of some electric scooters. The term "Moped" has been used to define these smaller scooters, some of which might have pedals as well as a motor, though this is rarely the case with current gas scooters (as opposed to true mopeds which are a different species altogether. See Mopeds). 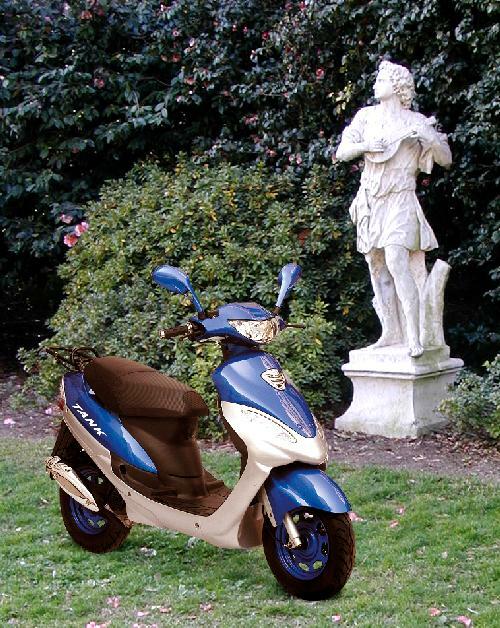 The term, "Moped," as been erroneously applied to larger scooters as well however. Some current electric motorscooters do have optional pedals, and the low-powered ones are classified as bicycles, even in California. See Electric Motorscooters. Unfortunately, 50cc scooters are typically speed-restricted in order to be classified as a moped and exempted from licensing requirements. This does reduce gas mileage and accelleration. This restriction can be removed, where it is legal to do so, though the modification process is a bit complex. See derestricting a 50cc scooter for a step-by-step procedure for de-restricting the engine. Though electric motorscooters have become a very viable alternative to gas scooters for many purposes, nothing provides the immediate power and range of a gas scooter and the 50cc models are extremely convenient and affordable, particularly when license, registration, and insurance are not a factor. 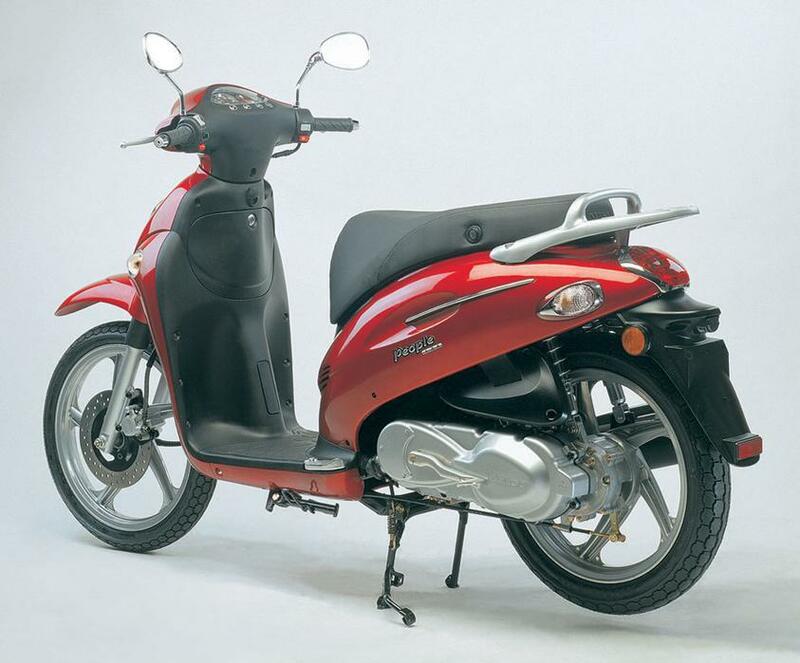 Though most of the earlier motorscooters used two-stroke engines, most modern makes use the four-stroke engine largely for its longevity and for the fact that it is more easily made compliant with emissions requirements. See Motorscooter Engines. There seems to have been no attempt to create a diesel motorscooter, though diesel vehicles do dominate in much of the world and are gaining ground in the USA due to their flexible fuel potential. Unfortunately, the little engine requirements of motorscooters are not suitable for diesel. 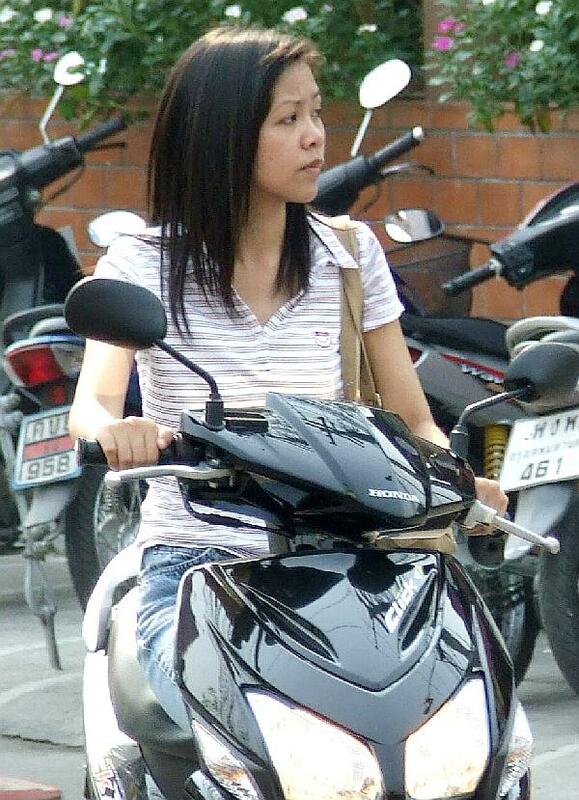 All in all, the 50cc motorscooter is an excellent choice for commuting or simple errands and can indeed be used for longer distances, though not at highway speeds. See Minimalist Scooters and Stand-up Scooters for a selection of 50cc models. Though not a highway vehicle, 50cc scooters have been ridden coast to coast on several occasions. See Laird Van Dyke's Ride.